Made with tiny hands in mind, this super soft ring rattle makes it easier for little ones to grip. 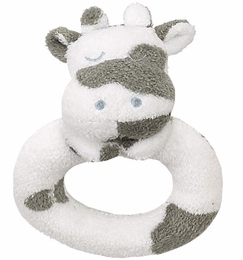 This adorable cow rattle will amuse and delight babies without the worry of injury from a plastic rattle. Safe to teeth on as well!